GroomPro CRM & GroomPro POS. An unfortunate case of brand-spoofing. When they can't innovate, they imitate the leaders. If you arrived here on a search for Groom Pro CRM and you are looking to skip straight to the Official Groom Pro website, simply click here: Pawfinity Software. Pawfinity began life as Groom Pro CRM back in 2010 with the sole intention of helping improve the lives of stressed out pet groomers. 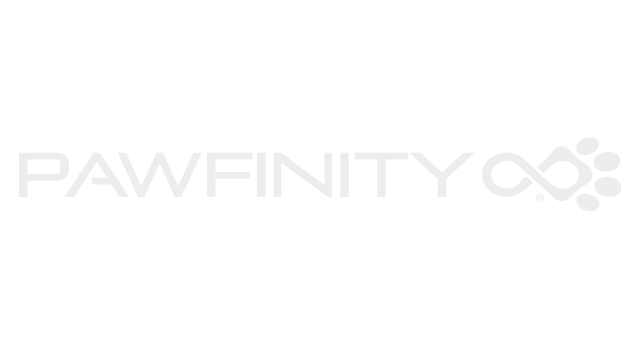 The company name was changed to Pawfinity® in October of 2016, following the successful acquisition of our official Trademark. Our software was created and is maintained by passionate people actively involved in the grooming industry, specifically to address the needs of today's professional groomers, boarding and kennel owners, pet sitters, and doggie daycare operators. We pride ourselves on our unique, innovations such as our industry leading infrastructure, fully proprietary software which is built and updated 100% in-house from scratch, and class-leading workflows. This passion for producing top quality products is however, not shared equally across the grooming software market, which has been overloaded in the past few years with products of greatly varying quality control standards. Learn more about the grooming software head to head competition. GroomPro POS launched their new product in October - December of 2016 and has no affiliation with our well-known Groom Pro (aka Groom Pro CRM) software. The people at the GroomPro POS grooming software company made the decision to produce and attempt to peddle a low quality product under the guise that it is associated with our well known software. Their angle for spoofing unsuspecting, trusting clients is to create the illusion that they are Groom Pro CRM, our highly rated grooming software and POS product. We're taking this situation very seriously here at Pawfinity, as one our most endearing core values is complete transparency with our beloved family of pet professionals. We simply won't stand for anyone trying to slip one past our family who are oftentimes not exceptionally tech savvy - an attribute we love here at Pawfinity since it helps us develop a well rounded user interface, easier for everyone to use! We pride ourselves on unique code development for new features and have never "borrowed" ideas for features used in our grooming software from any other product on the market, as that's simply plagiarism and unsavory. As such, we also guard our current 5 star average rating with great pride and are actively creating content to help distinguish ourselves and this new Pawfinity ® brand as a complete and separate entity from the software created by GroomPro POS. There are many ways to help clear up the false information regarding GroomPro POS and any affiliation they would like associated with our Groom Pro CRM brand. One of the easiest ways to help is to simply spread the word, letting people know that the GroomPro POS is not authentic and is in no way associated with the Pawfinity or (past) Groom Pro CRM brand. As active members of the pet service industry, it is our responsibility to help keep frauds from infecting our beloved market with scams intended to trick our peers into purchasing low-quality products advertised as other well know products who have worked to create exceptional brand reputations.